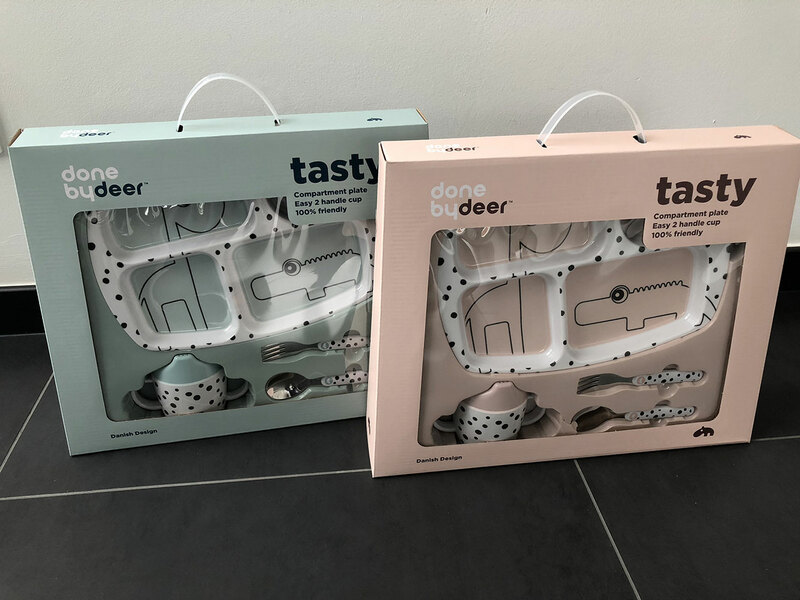 Make eating fun with this dinner set of Done By Deer. 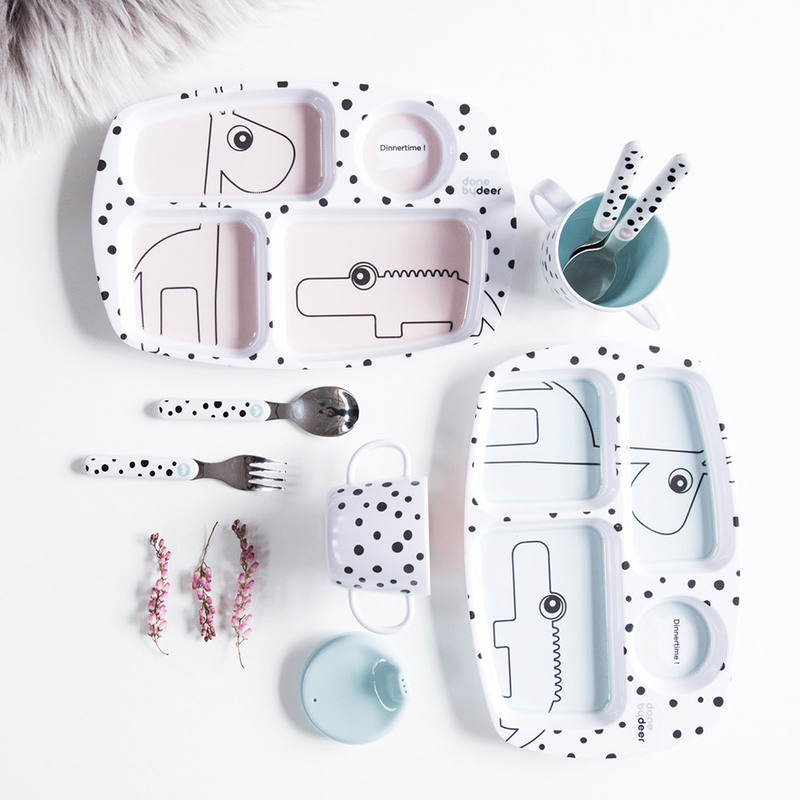 This happy dots set in powder or blue contains a compartment plate, a handle spout cup and a spoon and fork set. All have the same “dots” design. Size of the gift box: 42 x 10 x 33 cm.